Hardwood floors used to be covered up with carpet, but now homeowners prefer to refinish a hardwood floor instead. 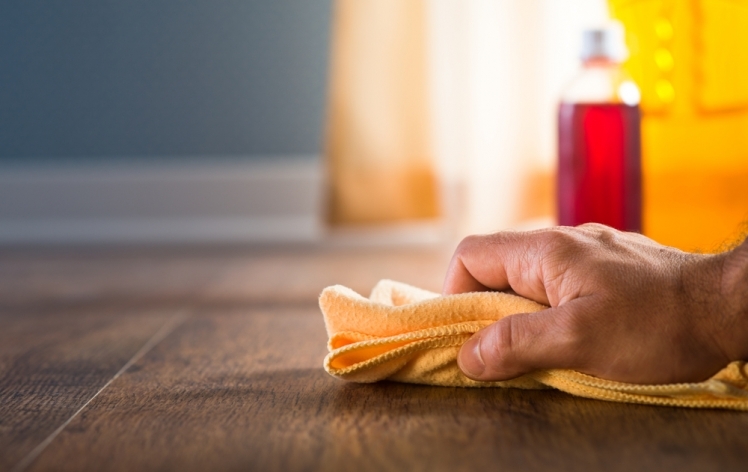 Use these steps to work on refinishing wood floors in your home to their original beauty. If you have decided to refinish a hardwood floor in your house, there are several steps you will want to take before you dig into the process. If your hardwood floors have been covered with carpet or another material, you will first have to remove that flooring to get to the hardwood. Once the floor is clear, check the gaps between the planks in the flooring. If they are too wide and you can see the nails holding down the floor, you may not be able to complete the floor refinishing at all. These floors are ruined and cannot be repaired. There are also newer hardwood floors that are ¼-inch thick that have a laminate coating on top. These types of floors can't be sanded, and floor refinishing is impossible. If you attempt it, you will wear away the whole floor. Keep in mind that some types of wood floor refinishing are easier than other types. Pine and oak are the most common and the easiest to work with, while hard woods like walnut and maple take more time and effort. If you are sure you have floors with integrity, you can move forward with hardwood floor refinishing. 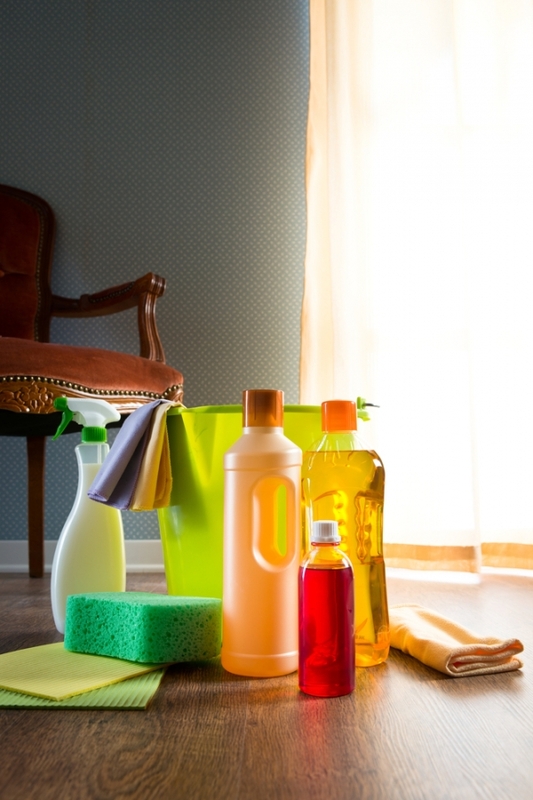 You will need a long list of materials in order to work on refinishing wood floors. Gather all of the materials so you have the right things on hand when you need them. Once you have the previous flooring removed, you will need to scrape up any adhesive that remains on the hardwood. Take a putty knife and remove the molding and the trim from the walls with a pry bar. You will want to be careful taking them off if you want to reuse them later. They can be replaced once you are done with the hardwood floor refinishing project. Clean the floors thoroughly so there is no dirt and debris on them. Watch for nail heads that are sticking out as you go as those items can tear your sandpaper when you get to that stage. Sink any nails you find into the surface of the floor. Sanding will generate a lot of dust, so you will want to close the doors to other rooms and cover nearby items with plastic to keep the dust off. Cover wall outlets and switches with tape so you have less to clean up later. Once the floors are prepared, you are ready to begin wood floor refinishing. Affix a 20-grit piece of sandpaper to the sander and start the sanding process. You will work on refinishing hardwood floors in 2" x 4" sections. Move in a straight path in the same direction on every board. Keep the sander moving at all times so you don't wear any grooves or dents into the wood. You want the sanding to be as even as possible. When you start sanding a new row, overlap with the old row slightly to keep things even there as well. Check the sandpaper at frequent intervals so it does not get clogged or worn down. If you notice the sander collecting dust, empty the bag and clean it off. Don't bother pushing the sander down; it will do the work that needs to be done. All you have to do is steer it and it will push itself along as you refinish a hardwood floor. Once you are done sanding the main portion of the flooring, you can use the edge sander to go along the wall, overlapping with the areas you already sanded again. Wood scrapers and sandpaper work best in the corners so you can sand down to bare wood there as well. Spot check the floor to make sure you didn't miss anything and then clean up the dust and debris the sanding left behind. 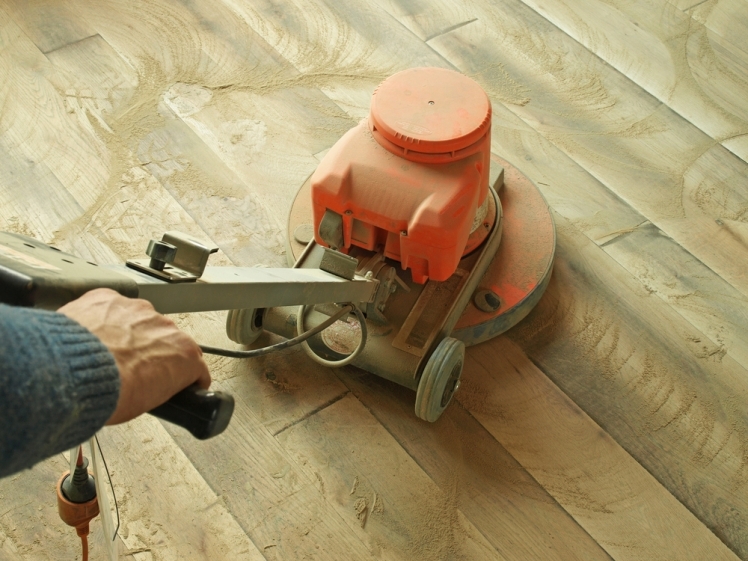 Once the sanding is complete, you will want to bring out the natural beauty in the flooring. Apply your sealant with a four-inch brush to help you cut into the areas around the space's perimeter. Work towards the grain and cover 12 inches toward the center of the room. Once you finish the perimeter, you can work on the rest of the floor. Overlap with areas that you already covered so they are even and there is no space showing between the areas. The sealant will have to dry for 24 hours, and then you can buff it with a power buffer. 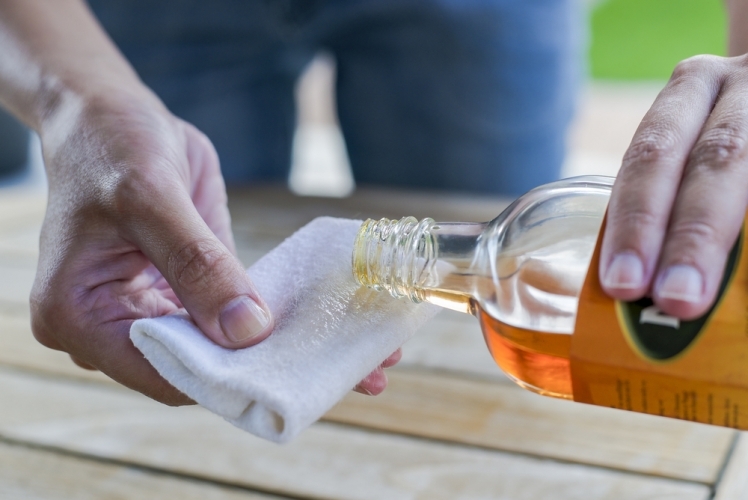 After buffing, vacuum up any residue and apply a second coat in the same manner as before. You can also stain the floors before you seal them if you want a darker look in the wood the floors have. This will make the project take a day longer as the stain will have to dry before you seal the floors. If you have questions about oil-based or water-based sealants, you might want to talk to a professional about the differences. Most of the time, it's just a matter of personal preference. Keep in mind that if you use an oil-based sealant, you will need to use a respirator to apply it safely when you refinish a hardwood floor.